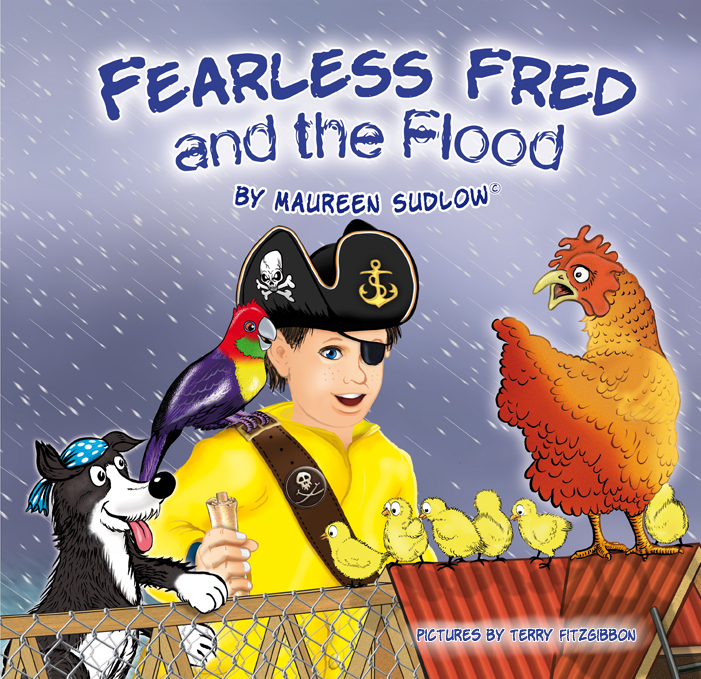 The book launch of Maureen Sudlow’s new book, Fearless Fred and the Flood, will be held at Storytime, 34 Porowini Avenue, Whangarei, at 2 pm on Saturday 9th July. Come in a pirate costume for a fun event and pirate treats. Please let Kathy or Margaret know if you have any achievements you would like to announce. We would appreciate members writing a short paragraph outlining the advantages they enjoy as members to help promote NZSA among Northland writers. Please send your piece to the NZSA Northland email address: northlandauthors[at]gmail[dot]com. The information will be collated and used in press releases and leaflets. We would like to encourage members to discuss their books on this site. You can have one book (or one series of books) featured in PenNorth (until all members have had an opportunity and then you are welcome to feature another one) which will also be displayed on our Books page here. Descriptions should be kept to around 200 words. If you are interested, please send an image of the cover and your description to Kathy or to northlandauthors[at]gmail[dot]com. Remember this is your forum. If you would like your book featured then please let us know. This month’s featured book is by Maureen Sudlow. Fred has already had adventures with a dragon, and this time he’s on a rescue mission in the farmyard, while the ducks are making their own fun in the puddles. Children will love the rhyming text and colourful illustrations. A great read-aloud book for children. Surfing ducks and pirate ships abound. This is Maureen’s second ‘Fred’ book, and her aim has always been to encourage children to give their imagination full flight. Copies are available from Maureen at sudrm[at]xtra.co.nz and in some bookshops. $2 from every book sold personally will be donated to NEST (Northland Emergency Rescue Trust). Sian Williams of Kerikeri was announced as the winner of the Northland Flash Fiction prize at an NZSA event at the Kings Theatre Creative on Sunday. The prize is awarded to the best Northland entry in the annual National Flash Fiction Day competition. Sian’s winning entry, Ophelia at Huntly, was one of four Northland entries longlisted for the national prize. It will be published in the July issue of Flash Frontier: An Adventure in Short Fiction. Other longlisted Northland authors were Kampala Jackson of Whangarei for Clear and Strong, Jane Percival of Kaipara Harbour for Wild Peas and Red Valerian and Jac Jenkins of Whangarei for Settlement, which won a commended certificate. Sian said she was “thrilled” to win, and that she appreciates the diversity of the genre and its “myriad forms and limitless voices”. She said that she considers writing flash fiction helps make other writing more layered and multi-dimensional, as it teaches the writer to make every word count. It’s also a genre that fits well in a busy life. The event was part of the Kings Theatre Creative winter wananga programme. Our July meeting is at 11am on Saturday 16 July at Whangarei. Dates for 2016 meetings can be found here. Celebrate National Poetry Day on Friday 26 August at the Old Butter Factory 6–7.30pm, with an open mic poetry reading and the launch of Fast Fibres #3, followed from 7.30–9pm with the Northland Poetry Day Slam – three competitive rounds of poetry. Register for the slam with vincenttnathan[at]gmail[dot]com and for more info, email pietn[at]outlook[dot]com. Poetry open mic on Sunday 28 August at the Kings Theatre Creative 1.30–4pm. Poets published in Flash Fibres #3 will be reading their work, and there will be an opportunity to contribute to a collaborative poem. As well, we will be supplying postcards for you to write to writers and journalists who are imprisoned around the world. $5 entry fee, including afternoon tea. NZ Book Week Event, Sunday 30 October. Aroha Harris, the co-author of Tangata Whenua and winner of the illustrated non-fiction section of the Ockham NZ Book Awards, has been confirmed as our keynote speaker at this event. After her talk local authors who have recently published books will introduce and talk about their new books. Please let us know if you have work you would like to present. Northland members can sell their books at this event. Contact northlandauthors[at]gmail[dot]com to arrange to be included. Tuatara Design Store in Bank St, Whangarei showcases art and craft work by Northland artists. They are willing to sell books by Northland authors in their shop. Contact Tracey at tracey[at]tuataradesignstore[dot]com or phone 09 430 0121. Writers’ Retreat: Write for Your Life plus The Dark Art of Poetry. 15–17 July, Tushita Ashram Hermitage, Peria Valley, Northland. The National Office of NZSA is updating information about writers’ groups around the country. If you are a member of a writing group that would like to be listed on the NZSA website, please email us on northlandauthors[at]gmail[dot]com with the name of the group, contact details, venues and meeting times. Patricia Grace, Nalini Singh, Ockham award-winner Stephen Daisley and Canadian writer Kate Pullinger are just some of the writers so far announced as participants in the inaugural National Writers Forum taking place on 17–18 September. They will be joined by publishers, agents, editors, festival directors and a range of other industry professionals from New Zealand and overseas. The Aesthetica Creative Writing Award 2016 is now open for entries, presenting an opportunity for emerging and established writers and poets to showcase their work and further their involvement in the literary world. Now in its ninth year, the award is an internationally renowned prize, presented by Aesthetica Magazine and judged by literary experts. Short fiction entries should be no more than 2,000 words. Poetry entries should be no more than 40 lines. Deadline for submissions is 31 August 2016.